D&W Fresh Market makes entertaining easy! 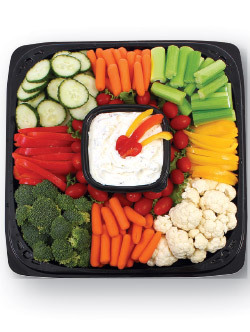 Appetizers, salads, sandwiches and more, let the Deli Team at D&W Fresh Market create the perfect party platter for you next event. Made to order with only the finest quality ingredients, and thoughtfully prepared to meet your satisfaction and impress your guests. 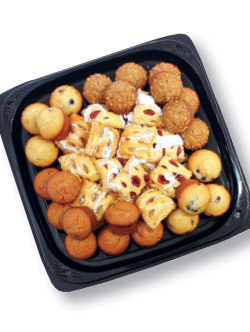 See our popular party platters below, platters vary by location. Contact your store today for details on how we can make your next event a success! 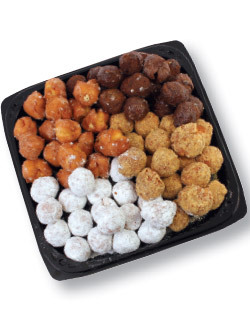 A mix of assorted donut holes, sure to be a crowd pleaser. 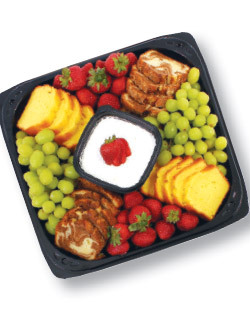 Your choice of sweet bread paired with fresh grapes and strawberries with whipped cream cheese. An assortment of blueberry, banana nut and apple mini muffins with apple and cherry strudel bites. 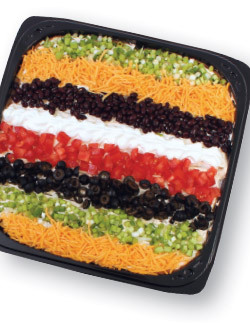 Layers of refried beans & salsa con queso topped with cheese, black olives, black beans, sour cream and fresh chopped green onion and tomatoes. Includes two bags of our homemade tortilla chips. 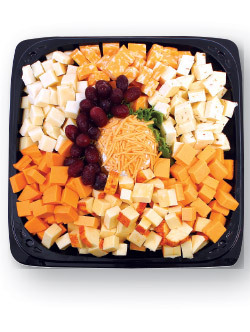 A cheese ball surrounded by cubes of colby, colby jack, pepper jack, muenster, mild cheddar and swiss. 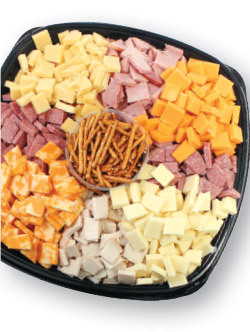 Small bites of cubed salami, ham, turkey, swiss, colby jack, colby and pepper jack with pretzels in the center. 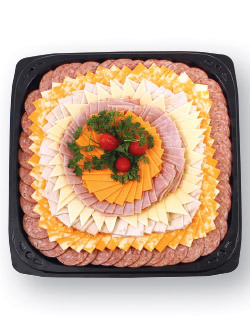 Perfect cuts of your favorite meats & cheese for snacking served with crisp buttery crackers. 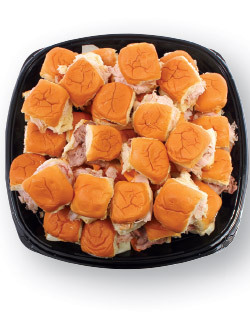 Our own bakery made 3/4 rolls filled with roast beef & cheddar, ham & swiss, and turkey & provolone. 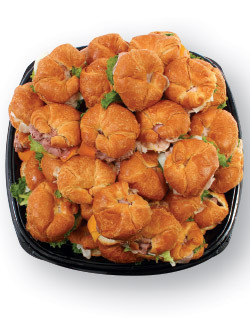 Mini croissants filled with ham, turkey or roast beef and topped with leaf lettuce and swiss or mild cheddar cheese. 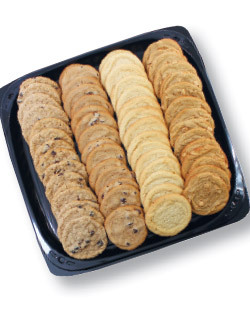 An assortment of items to top off that perfect sandwich. 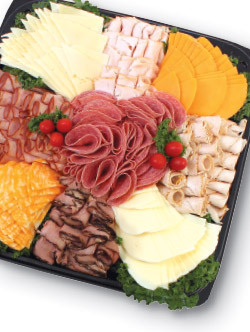 A delicious arrangement of sliced ham, turkey, aalami and roast beef. Accompanied by swiss, colby jack, colby and provolone cheese. 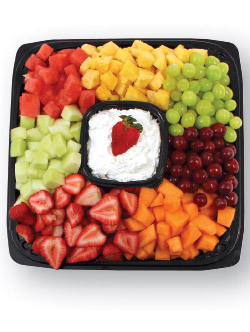 Fresh cut fruit served with light and fluffy fruit dip. 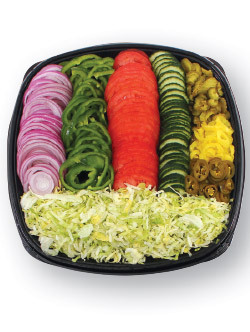 An assortment of garden fresh veggies cut to the perfect size for dipping. Dip included. 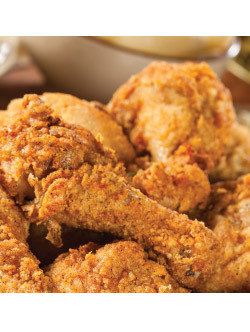 Fresh baked or hand breaded fried chicken. 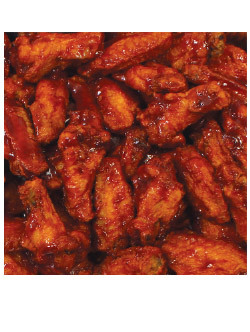 Available in 24, 50, 75 and 100 pieces. .
Five pounds of chicken wings ready to take to your next gathering.